Automatic Double Seam Measurement with Database Reporting for craft breweries canning beer. The SEAMscan SPC System is an affordable, high-resolution tool for double seam inspection and measurement with SPC Reporting. Capture, measure & save seam images in less than 1 second! Capture, measure & save seam images in < 1 second! 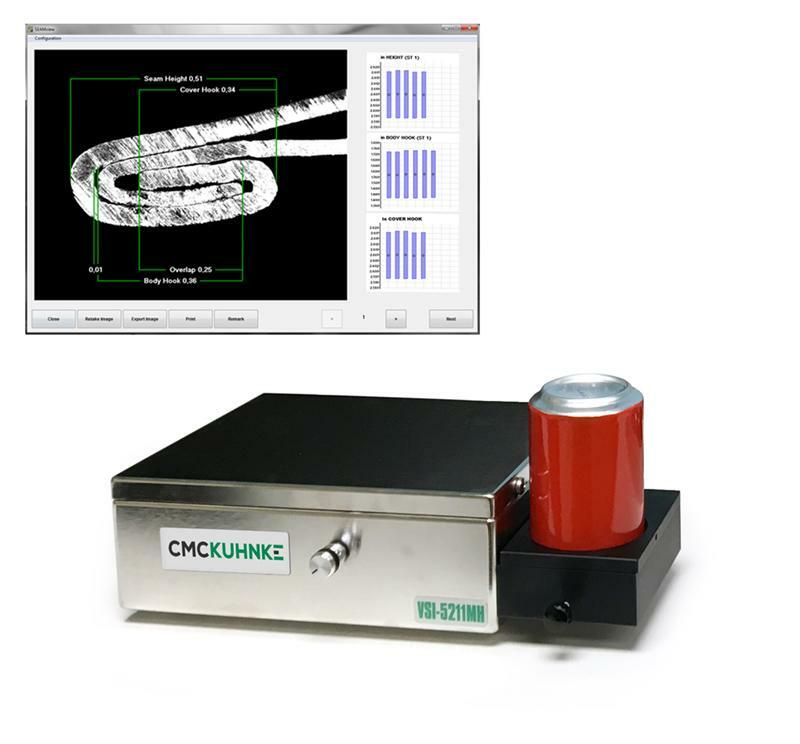 CMC-KUHNKE manufactures seam inspection gauges, saws and software for craft beer in cans. This website is to educate the Craft Brewing Industry on CMC-KUHNKE's double seam inspection solutions for cans, so they may find out how to check and report their can seam measurements. Measuring beer can seams at your craft brewery is essential in maintaining your brand and ensuring fresh, quality products for your consumers.